This project replaced an existing culvert with a new 45′ long x 14′ wide x 9′ high aluminum pipe arch culvert. 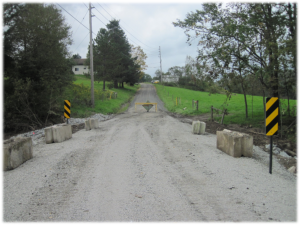 The road was raised above the FEMA 100-Year Flood Plain. The design storm flow is 760 cubic feet/second. 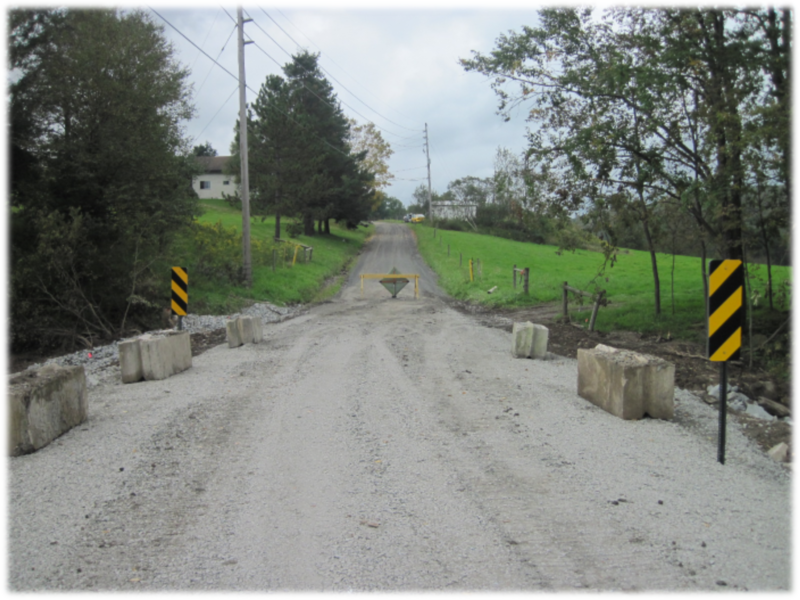 Construction included: minor stream channel improvements, a gravel roadway, bedding, backfill, gabion wingwalls and rip-rap bank stabilization. 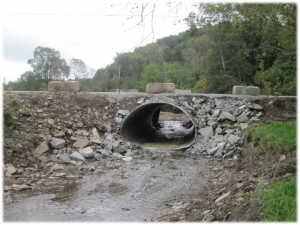 Engineering services included: stream hydrology and culvert hydraulic capacity calculations, DEP General Permit GP-11, preparation of contract drawings and specifications, assistance with bidding and construction phase engineering.